Compared with the ordinary plate shears, most rotary plate shears adopt oblique shear blade. It is been widely used because of its simple structure, low failure rate, high efficiency and the sheet does not occur bow, warping, distortion after shear. 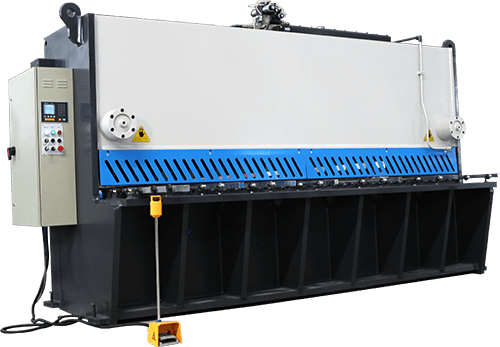 In the shearing process, the blade support of the swing beam shearing machine do rotary motion, so that the cutting angle and shear clearance of the blade can be changed during the shear process. 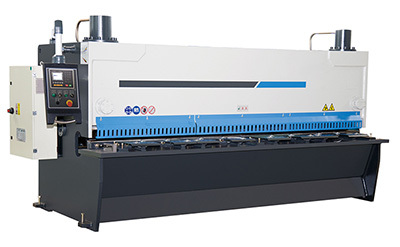 However, in the design of rotary shear, the sheet metal cutting force is calculated based on the blade support in the straight motion, which inevitably cause inaccurate calculation, make the design size deviation and will affect the normal use of performance. 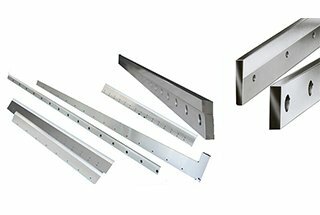 X、Y、Z – Respectively refer to bending force coefficient, cutting blade sidewise clearance relative value, press material coefficient. Obviously, the shear relief angle changes in the shear process are not considered in the formula, and the shear clearance is also considered as a one-time value. Therefore, it is only for the shears with blade support do the straight motion. 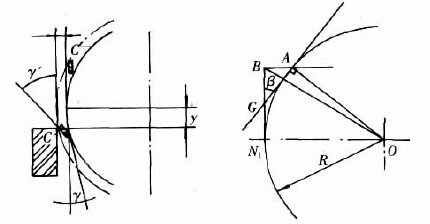 The relief angle changes in the range of γ±β in the full-length cutting process. 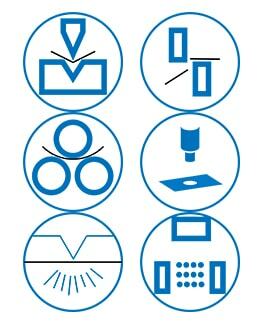 Shear quality and shear force are very sensitive to shear clearance during plate shear. Because the shear action and the pull function are coexisting in the shear process, the larger the shear gap is, the larger the proportion of the pulling function is, the worse the shear quality correspondingly. 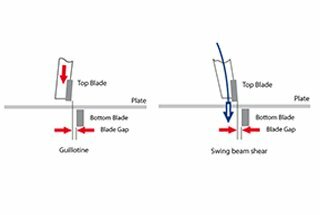 For the cutting of medium thickness plate, the shear clearance should be controlled between 8%-12% according to experience. Obviously, it is very difficult to achieve the required γ±β for the rotary shearing machine which adopts the process of simplified blade installation. When the shear gap is greater than the experience value, it will inevitably cause the change of shear force, according to the formula (1), the increase of the shear clearance will cause the increase of shear sidewise clearance relative value, eventually increase the shear force needed for the shear process. For the cutting motion with obvious pulling function in the shearing process, on one hand, it increases the shear force and the power loss, on the other hand, it will increase the plastic deformation of the plate, increase the friction between the blade and the shear plate, increase the shear force required by shearing machine, and reduce the service life of the cutter. 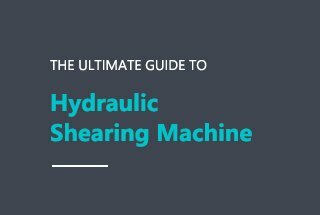 Therefore, when calculating the cutting force of the rotary shearing machine by the above formula, you should choose bigger shear blade sidewise clearance relative value and blade dulling coefficient to compensate for the above factors. The calculation of the shear force of the shearing machine is a calculation formula inside the technical world. Most of them are calculated based on ordinary Q235 steel plates. 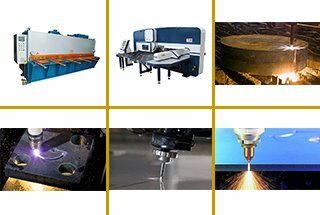 When Q345 is calculated in millimeters, it is calculated by 1.4 times, and 304 stainless steel is calculated by 2 times. 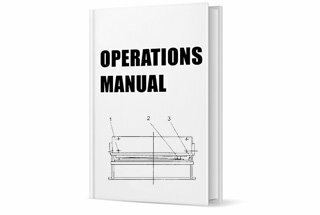 For example: if cutting the Q235 steel plate with 10mm thickness and 6000mm length, the shear force is 10 × 6000 × 23.5 = 1410000(N) = 141 (Tons). If it’s Q345 steel plate, then the shear force should be 141× 1.4 = 197.4 tons. If it’s 304 steel, then the shear force is 141 × 2 = 282 tons. it is not t and g my friend. it is shortening of tangent (tg). 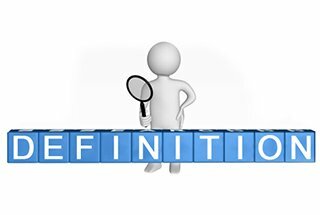 Same basic question… what are these a terms and how are they established? Are they tablulated for different materials and geometries? 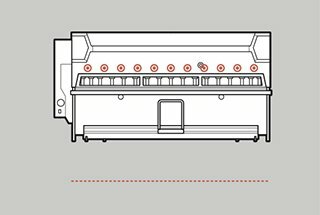 this article is much focus on the swing beam shearing machine.